A church destroyed. A congregation silenced. A relationship shattered. Yet even in life’s darkest valleys, a small flame can light the way toward healing and hope. A deadly fire rips through St. James Church, devastating the congregation and Pastor Dave. Adjoining Hadleigh University uses the tragedy to kick the congregation off campus. The escalating controversy creates a dilemma for the small church—can Christians fight for their rights and be the light for Christ at the same time? 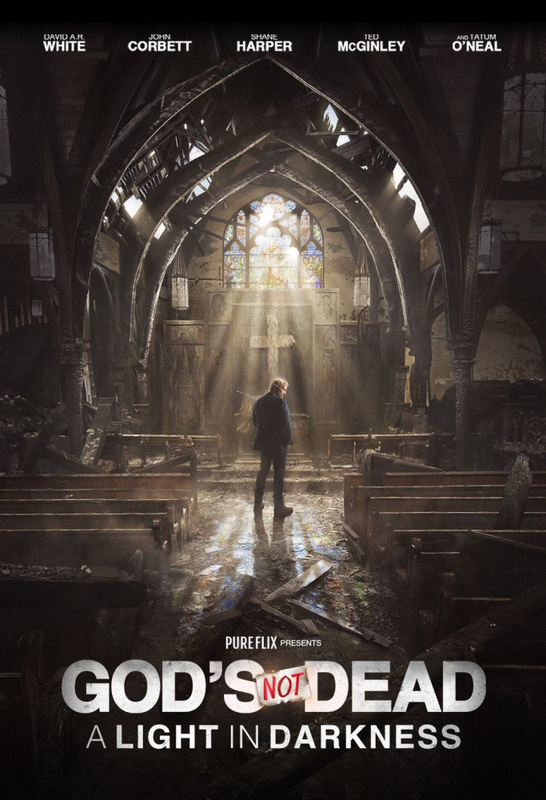 Facing a court case and his own struggle to see Christ’s light in heartbreak, Dave asks for help from Pearce, his estranged brother—a big-city lawyer and an atheist—to fight for the church’s right to exist. The family reunion opens old wounds, as the brothers wrestle with the questions that pulled them apart years ago: Is God really good all the time? Where is God when bad things happen? Can Christ really heal the brokenhearted?